Plants Feed Me by Lizzy Rockwell includes adorable illustrations of vegetables, fruits, plants, and children to demonstrate the importance of plants in feeding humans. The book provides the basics of plants and their growth cycle for young children to easily understand, including the need for sunlight and nutrients in the earth. Children are smiling as they dig holes, plant seeds, water plants, and begin harvesting food. My daughter and I have read this book several times and each time she tells me something new. She’ll point to something we’ve talked about in previous readings even before I read it to her. She is recognizing carrots, lettuce, beets, potatoes, and more. The author talks about the different parts of edible plants and she labels each vegetable and fruit depicted. Fruits grow on trees and in bushes, vegetables can grow in the ground and above the ground, and some plants that many think are vegetables are actually fruits. The pictures are well drawn and easy to understand. 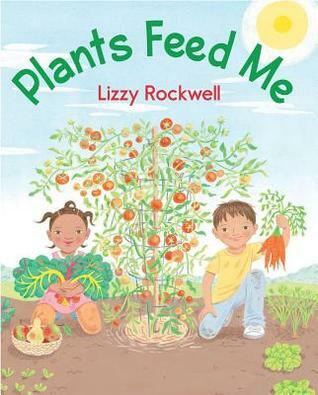 Plants Feed Me by Lizzy Rockwell is a great story for young readers to share with their parents, helping them understand the natural wonders and where food comes from. Lizzy Rockwell is an illustrator whose artwork can be seen in picture books, magazines, games and on walls. She studied art and art history at Connecticut College, and drawing and illustration at the School of Visual Arts in New York City. Lizzy is the illustrator of over 25 children’s books by a variety of authors including her mother, Anne Rockwell. 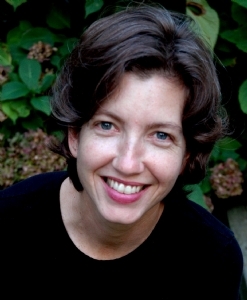 She is the author/illustrator of Plants Feed Me, Good Enough to Eat: A Kid’s Guide to Food and Nutrition, Hello Baby! and The Busy Body Book: A Kid’s Guide to Fitness. Lizzy has two grown sons, and lives and works in Bridgeport, CT with her husband, Ken Alcorn, a high school social studies teacher, and their dog Reggie. 79th book for 2014 New Author Reading Challenge. 1. 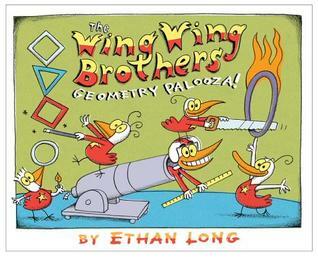 The Wing Wing Brothers: Geometry Palooza! by Ethan Long for review from Holiday House. Your favorite five wacky birds are at it again. This time teaching readers the building blocks of geometry, while trying not to topple over themselves! 2. Plants Feed Me by Lizzy Rockwell for review from Holiday House. 3. 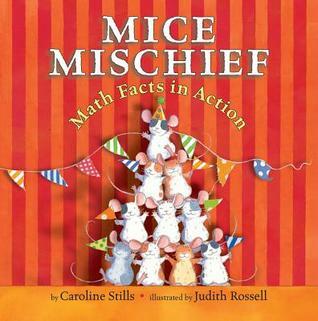 Mice Mischief: Math Facts in Action by Caroline Stills for review from Holiday House. 4. 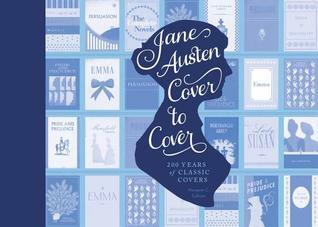 Jane Austen Cover to Cover: 200 Years of Classic Book Covers by Margaret C. Sullivan for review from Quirk. Jane Austen’s six novels are true classics, still immensely popular some 200 years after their first publication. But although the celebrated stories never change, the covers are always different. Jane Austen Cover to Cover compiles two centuries of design, from elegant Victorian hardcovers and the famed 1894 “Peacock” edition to 1950s pulp, movie tie-in editions, graphic novels, foreign-language translations, and many, many others. Filled with beautiful artwork and insightful commentary, this fascinating and visually intriguing collection is a must for Janeites, design geeks, and book lovers of every stripe. 5. The Company of Strangers by Robert Wilson for 50 cents from the library sale. 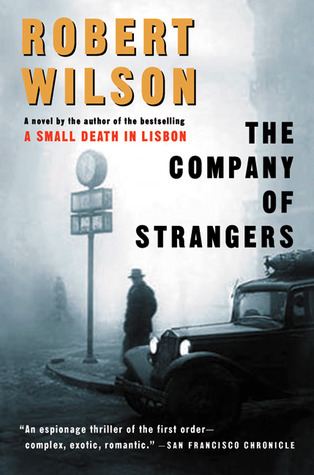 The stifling summer streets of Lisbon are teeming with spies and informers when Andrea Aspinall, an English mathematician turned spy, disappears under a new identity. Military attaché Karl Voss, experienced in the illusions of intrigue, arrives in Lisbon under the German Legation, though he is secretly working against the Nazis so that atomic and rocket technology do not find their way into Hitler’s hands. In the lethal tranquility of a corrupted paradise Andrea and Karl meet and attempt to find love. Tragically, a night of violence leaves Andrea the keeper of a secret that triggers a lifelong addiction to the clandestine world. From Portugal to England and finally Cold War Berlin, she gradually discovers that the deepest secrets aren’t held by governments, but by those closest to you.